I don’t keep secrets very well. Not personal ones anyway, other peoples I can sometimes keep, just depends on what they are!! I actually have no idea what that has to do with the title of this blog entry, but so I’ve digressed. 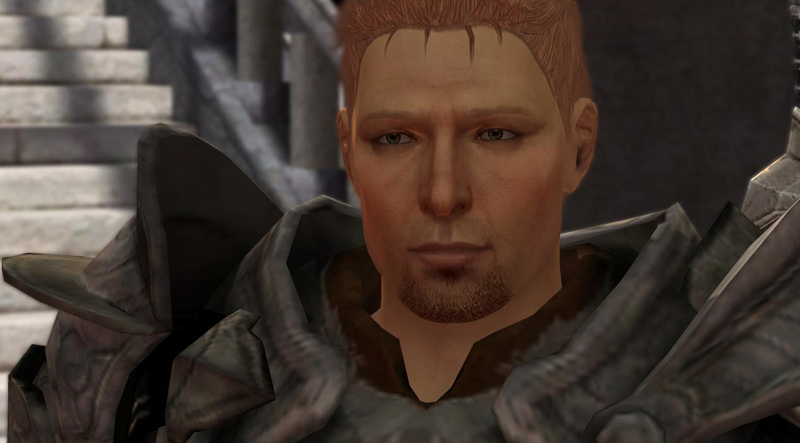 The subject of this blog entry was meant to be Alistair. My first run through was with Rafen, a healer mage who sided with the Templars – He was a bit of a jerk, didn’t get romantically involved with anyone to seriously but had good friends with most of them. My second playthrough was with Siskin, a female warrior who sided with the mages and fell hopelessly in love with Anders and Justice. This third playthrough is with another female warrior who is actually an undercover templar! She hasn’t had any flirtatious moments with anyone yet, but will probably end up with Sebastian somehow. The first two playthroughs I used my Wardens history; it was a great thrill to see King Alistair having a delightful conversation with Meredith! Although I couldn’t helpbut think that life as the King of Ferelden has…. suited him. HIs face certainly looks a little rounder. But, it was on my third play through, that my heart just wiltered away and broke. I was overcome with such sadness and guilt that Iwanted to weep. You see; I chose one of the default histories for a change, to see what would happen, if any of the quests changed or anything like that. Subtle things; not this. Never this. Why in my wildest dreams would I wish the man who should be the King of Fereldena drunkard in the hanged man!? It made me think about a possible Alternative Universe tale for him and my Warden (Who wouldn’t be a Warden at all) Zindrafel; they’d have to meet somehow and all that jazz, but it might be worth pursuing. Seeing as the Elven Alienage is just a stones throw away from the Hanged man. As if I didn’t have enough to do already; thank you Alistair! I love all the characters; even Isabela, who after seeing her in the first I was certain I would dislike… but she is as perverted as I am, so she grew on me! 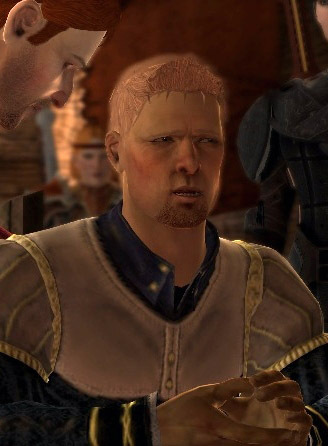 I am hardly a reviewer, and I am not even going to try and compare the two titles; they’re both good in their own ways.. DA:O has Alistair, DA:O-A has Alistair, DA2 has Alistair. I am happy! I’ve always find some things hard to explain, attraction to fictional characters has been one of them – especially after creating this crazy blog; but as of late it’s actually been made a lot easier thanks to a certain someone also confessing their fangirly ways to me. It’s about time they did another guest post about their latest obsession come to think about it. Next Next post: Guest Post: "Mr. Tall Dark and Brooding." A guest post you say… Fangirling together over different subjects is ace, just imagine what would happen if it was over the SAME person… Oh My!